European HD DVD spokesman Olivier Van Wynendaele has spoken out in defence of Paramount - the Hollywood studio that dropped Blu-ray support in favour of HD DVD in the summer. Van Wynendaele, spokesman for the European arm of the HD DVD Promotion Group, says that despite claims to the contrary, Paramount did not do the deal for the money (a reputed $150 million). But because HD DVD simply works better, especially when it comes to interactive, valued-added features. He argues that HD DVD was a finalised specification from the get-go. The DVD Forum asked Hollywood studios what features they wanted to see, and then made it easy to implement them - the technology as a means to an end. Unlike Blu-ray, certain key features (persistent memory, internet connectivity) were mandated as standard issue, ensuring that any player could play any disc no matter when either went on sale. 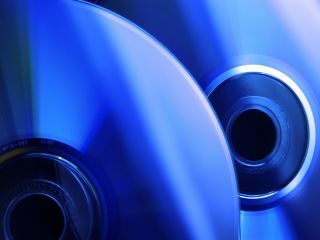 Our understanding is that Blu-ray is still effectively 'in beta': the 'final' spec is still evolving, leaving both Hollywood studios and Blu-ray players buyers with a legacy of incompatibility that could be hard to get over. One example is the implementation of interactive features on Blu-ray. Van Wynendaele argues that it's a process that's slower, more cumbersome and more expensive to achieve than on HD DVD. That in turn has an impact on the interactive features you'll get with your movies - and in many cases that will mean none at all for the Blu-ray version. "I had a discussion recently with Paramount's chief technology officer Alan Bell," Van Wynendaele told us. "He explained to me that when they were doing both Blu-ray and HD DVD, one simple feature like a chapter skin in HD DVD would take one or two lines of code. But in Blu-ray it's full Java code. So you have to program it fully. It's 50 to 100 lines of code for what is a very simple operation. "So when you think of all the features you can have available, you can end up with many thousands or millions of lines of code in BD Java that you need to do. The longest and most painful thing [Bell] told me is not [writing the code], it's to debug this code, and then to test it with all the players in the market. This is why the lead times for the development of a BD title with add-on features is so long." "In Blu-ray with interactive features four months is not enough. You can't do it. So what do you do then? Postpone the title? It cannot be done in the movie market anymore, so you end up releasing a very simple title into the market. This is what is happening in BD titles today. They don't have time to develop the advanced features." Putting out a 'special edition' disc later with more features isn't a great option for Hollywood studios either, Van Wynendaele argues. "The special edition on DVD has never sold better than the original release," he says. "Most consumers will buy the first version, a few will buy the special edition with the special features. You're saying because of the technology that you can't put it in the first edition? That is a bit ridiculous in my opinion." "So what does that mean to 40 per cent of people who connected to the web with the Heroes box set, or the 20 per cent who connected using Transformers? Does that mean these people are nothing? Well leave them to us then, we are very happy to supply titles to these kind of people." Those people could include tech enthusiasts who bought Blu-ray players early on. Their machines almost certainly won't be compatible with BD-Video Final Standard Profile 1.1 - the new Blu-ray standard that requires the implementation of features like persistent memory for interactive use. However 1.1 still doesn't mandate internet connectivity, something that HD DVD has had since day one. Does that mean then even Standard Profile 1.1 players will be obsolete within time? Standard Profile 2.0 (aka BD-Live) is already on the horizon. We've asked the Blu-ray Disc Association to comment on this article. We are awaiting its reply.